How do we know that our passwords our bank details and other personal items are secure and protected when we are working on the Internet. The simple truth to that question is that we have to trust the people who own or manage the network to protect our data. We can secure data on our own computer network by adding security packages and ensuring that our passwords are not easy to guess. Once the data has left our computer or network through the gateway it is in the hands of the next part of the Internet. The network(s) which make up the Internet are managed by businesses and organisations. A wireless network in your local restaurant or hotel is managed by them, one exception to this is the Eircom wireless network hub, this is managed by Eircom, not the local proprietor. So if you were managing a network in your business, the minimum requirements will be to check that all data that travels on the network is secured by use of an encryption key, secondly ensure that the encryption key is not made available except to trusted users of the network, and change it regularly. In some cases it is more appropriate to have the company data on a separate network to the public data, a network manager would also seek to protect the network from sniffers, people snooping around the network looking to pick up scraps of data here and there and then use them for their own benefit. A sophisticated wireless public service network would need the assistance of a network professional; the ins and outs of wireless setup and security are well known by the man who set up the wireless network at the pier in Dingle, Philip Curneen of iLink. So when it comes to networks, we can use the Latin phrase “caveat emptor”, buyer beware but in this case it is user beware Sit user cavete. 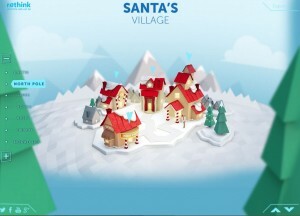 With the wonderful season of Christmas almost upon us, there is a website dedicated to Santa’s activities which is suitable for younger people, it was developed in the US, so it will not present a traditional Irish point of view, but it is still charming, fighter jets aside. The site is at http://www.noradsanta.org. 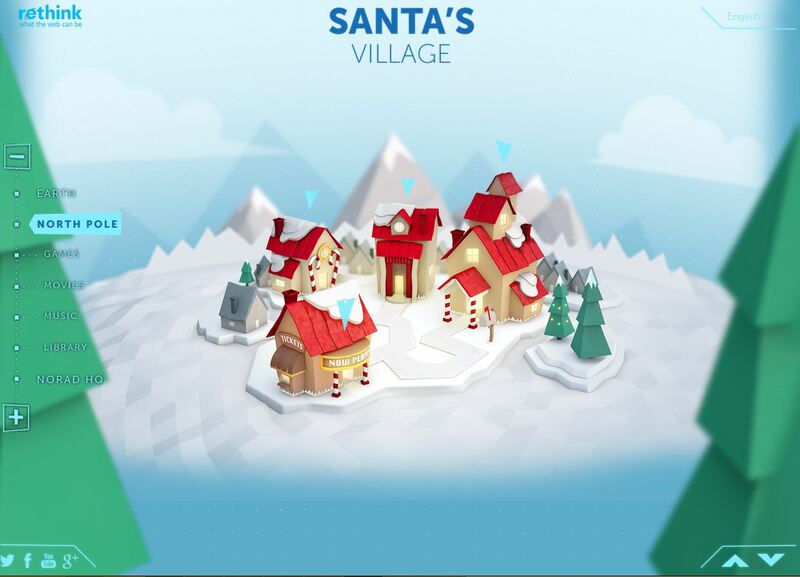 They also have twitter and facebook sites for up to the minute travel information as Santa makes his epic annual journey around the world. If you have got this far in the article you probably are one of the people who read this column regularly, and I would like to thank you for doing so. I would like to wish all readers a very peaceful Christmas and a prosperous New year. Stay safe online and enjoy your technology. Digital sound recording converts a human voice or musical instrument, with its multiplicity of tones and notes, by sampling it and converting it into a continuous digital signal which has a range of two values one and zero. This process has exercised the music industry since the first commercially available digital recording device was introduced in the 70’s. In the 70’s and 80’s, the normal person was unaware of the revolution that was taking place in sound recording and reproduction, while they enjoyed their album collection. It is a little more challenging to make a discussion about digital music formats as engaging and entertaining as a conversation about albums and their covers, nevertheless the technology is every bit as deserving of discussion. As always has been the case, the quality of sound is reliant on good production values and good equipment at every stage of the process, from the microphone to the player. In modern devices it is more to do with samplers, encoders and decoders rather than a stylus or a balanced turn table. In digital music technology the music is stored in files. Not all digital music files are the same, some music files are compressed and some are not. An uncompressed file will have the most complete version of the sound as it was recorded. A compressed file, on the other hand, is a file that has some part of the original sound missing. It can take a trained ear to notice the difference between an mp3 file, which is the most common compressed format, and a wav or aiff file which is an uncompressed file. MP3 is a standard which was developed by the Moving Picture Experts Group or MPEG, every mp3 player will contain an mp3 encoder decoder or both, each manufacturer will develop their own version but they must all adhere to the standards as laid out by the MPEG group. Since 1988 when the MPEG group was established it has been developing standards for the production and transmission of audio and visual digital material. To design a technology which compresses sound and have it sound almost the same as its uncompressed version requires knowledge of how the human ear works. Using a psychoacoustic model it throws away bits of sound that it considers extra to requirements. It is all about stripping back everything that isn’t needed to make the sound file as small as possible. Sometimes in a piece of music or any recording, two sounds can be going on at one time, one louder than the other so only one can be heard by the human ear, the system would allocate the louder piece of sound more bits of space than the quieter sound as it can’t really be heard anyway. Another method that is used is to remove any sound that cannot be heard by the human ear. Our human ear hears sounds in the range between 20 Hertz and 20,000 hertz, in a compressed file anything outside that range could be removed. But still your cat or dog might not find listening to mp3 files as satisfactory as you do as their hearing range is greater than ours.